I was born and raised in Honolulu, Hawaii and have been blowing glass since I was 16. 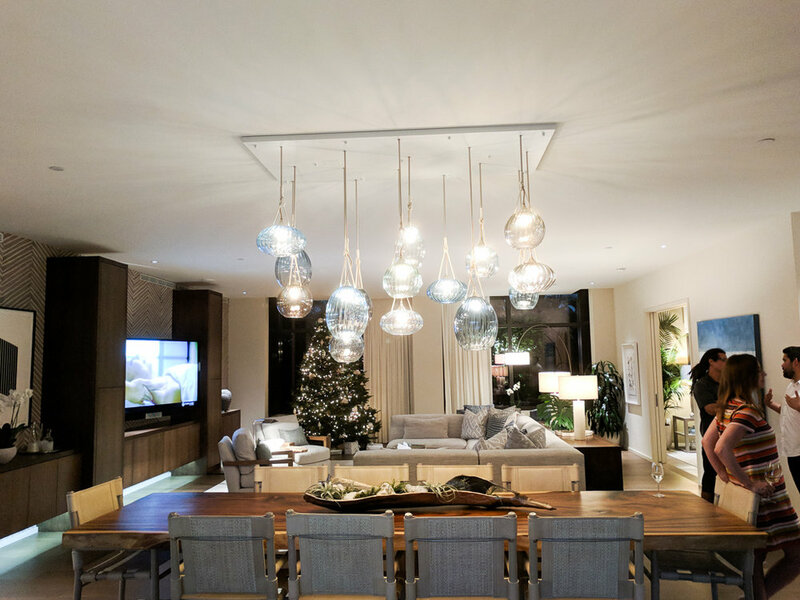 Because of my unique combination of glass knowledge, industrial design, and understanding of the culture, we were approached by Henderson Design Group to use lighting as the bridge between place, architecture, and interior design at Park Lane Ala Moana, one of the highest profile new condo developments on the islands. The outcome was a bespoke, flexible lighting system that is formally inspired by Hawaii's history. Hawaii has a unique background of immigration and annexation into the US. Today, traditional Hawaiian, Asian, and American cultures mix to create the current Hawaiian atmosphere. 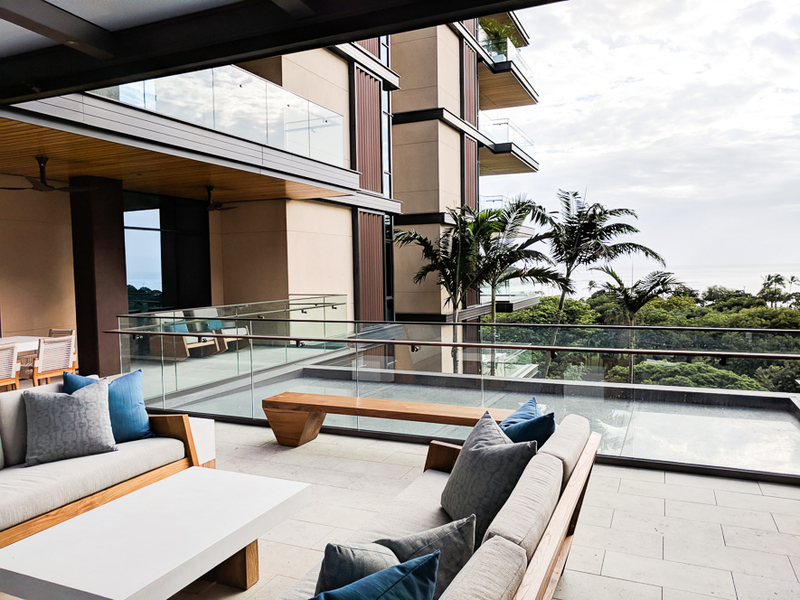 One main design concern was solving the aesthetic problem of developing a modern Hawaiian look that didn't feel like it fit anywhere but the islands. 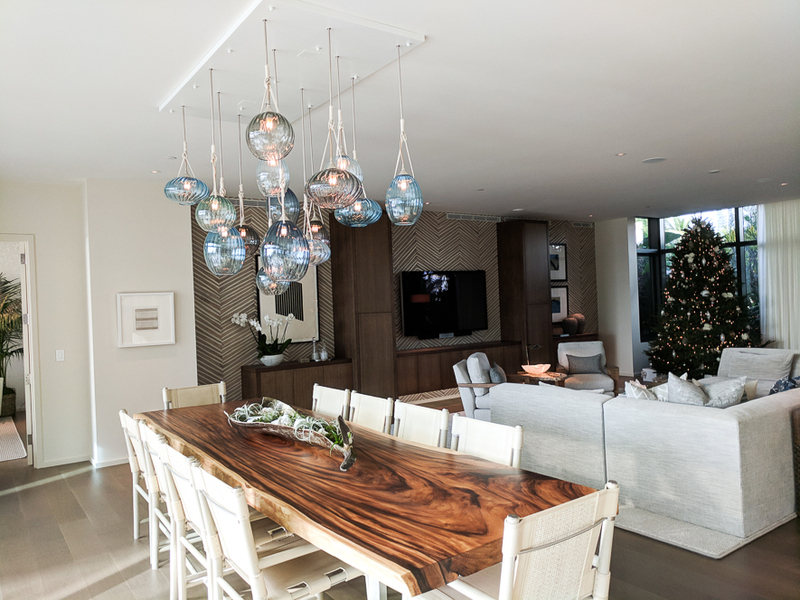 We combined inspiration from Hawaiian canoe lashing techniques, glass fishing floats, and Japanese and Chinese paper lanterns to design a fixture that is both beachy and contemporary. 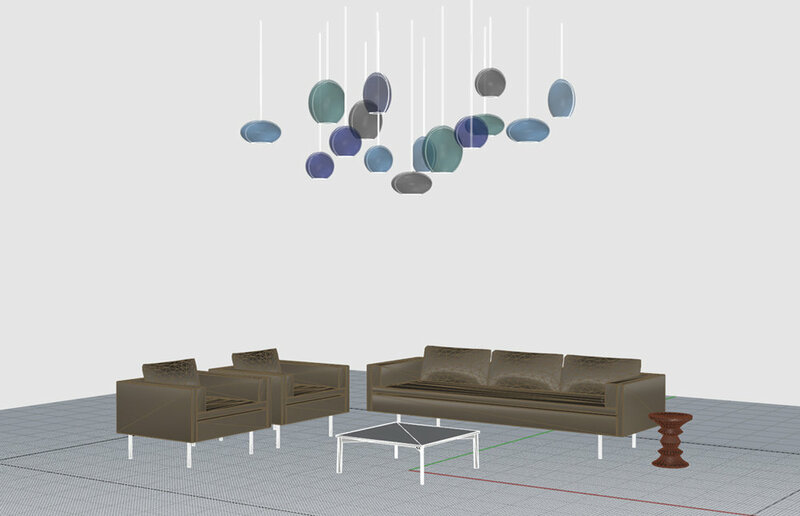 The individual units of the Umi lighting system are easily rearranged to fit a variety of spaces.